yep theres still a big stigmta about really using any of it and its justsomething people frown upon in general, although it is really very close to being made available for medicial use and hopefully its only a matter of time after that before its legal overall. 12 sticks for $30 seems like a pretty good deal to me, so I’m gonna be having these guys soonish. Edit: Really mild, earthy, just a real easy and pleasant smoke. Larger ring gauge than the typical cigar and it draws fantastically. Smoked the Vigilante from the pack I got and it was quite surprising. 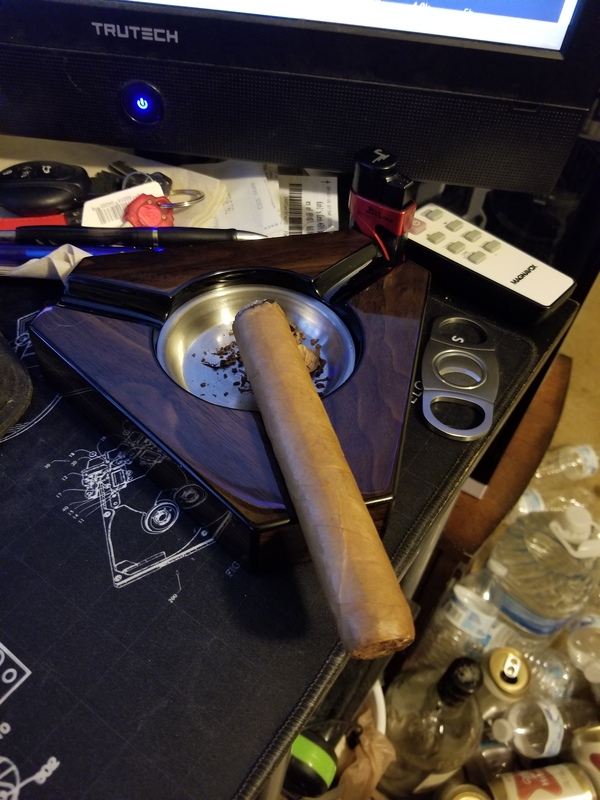 It’s a cheap cigar, but it had a good flavor and didn’t turn until there was barely anything left for me to hold even after I had to relight it. Very woody, light-medium body. It had some creaminess but not on the level of the Macanudo. And the draw was pretty good, especially considering it’s a cuban sandwich. lol when the perfect combo comes together and aligns completely? Just had a Reserva Dorada (Gold Reserve for y’all who don’t speak Spanish) which is the cheapest cigar in the bundle I got. You can tell it’s a cheap cigar for sure. Very simple flavor, nothing really going on with it. Not a bad flavor, but really simple for sure. It’s a 50/50 Cuban sandwich (half long half short filler) and draw was expectedly mediocre. All I can really say about it is “Meh”. It’s less than $2.50/stick though, and for the price it’s not bad, just not noteworthy (how much can you reasonably expect for that price though?). Burn was fine as well. It’s just an alright, cheap cigar. Got a few new blends of tobacco and a 5pack of cigars for a total of $37 ( normal pricing would have been like $70 for all of it). So not bad at all, will post when they arrive with what they are and etc. Pretty happy though, happened to get some great prices on the various things. Decided to get some paper and practice my rolling skills. Hardest part is not knowing how they smoke. Hardest part is not knowing how they smoke. it okay other than making a huge mess? not so bad, just make sure it doesn’t drink any of it.